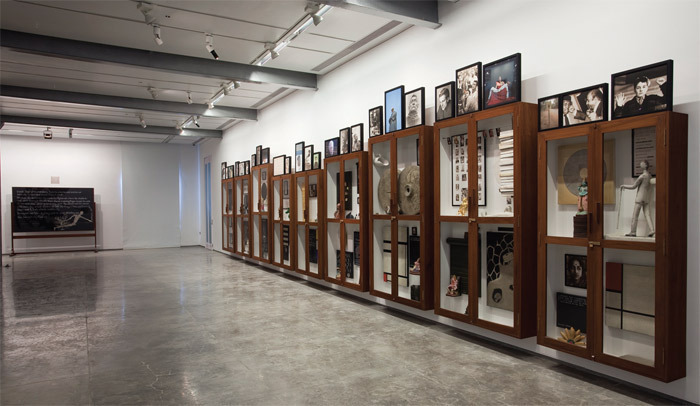 View of “Atul Dodiya,” 2011. Left: Thump! Thump!, 2011. Right: Meditation (with open eyes), 2011.